Get Your “Best of Calpernia: YouTube Edition” DVD and Help Calpernia! THANK you, Cal-pals! I sincerely appreciate the support of several wonderful folks who have ordered the “Best of Calpernia: YouTube Edition” DVD! As always, even if you never purchase one of my videos or otherwise financially support my work, knowing that you visit and read my blog or any of our sites is a gift to me. Thank you! Help Calpernia by naming your own price for a DVD of full-resolution, high-quality Calpernia videos (not the grainy YouTube ones!) suitable for party viewing, TS/TG group meetings or classroom discussion! Short films like the 1,000,000+ view “Bad Questions to Ask a Transsexual” (already being discussed in classrooms around the world), “Miss Dis“, The “Stunning” music videos (#1 & #2), “Chromozones (By Amber)“, plus additional full-res versions of short films “Ghost Rider: Calpernia Style“, “Magic Cookie Bar Recipe“, and “My Daughter My Son“! If you can’t send any help at the moment, rest assured I’m just glad to have you visiting my sites, and I appreciate all the love and positive energy that comes my way from the many cool people on the net! Thank you! 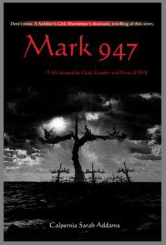 Click HERE to download a PDF of Calpernia’s autobiography “Mark 947” for only $5!